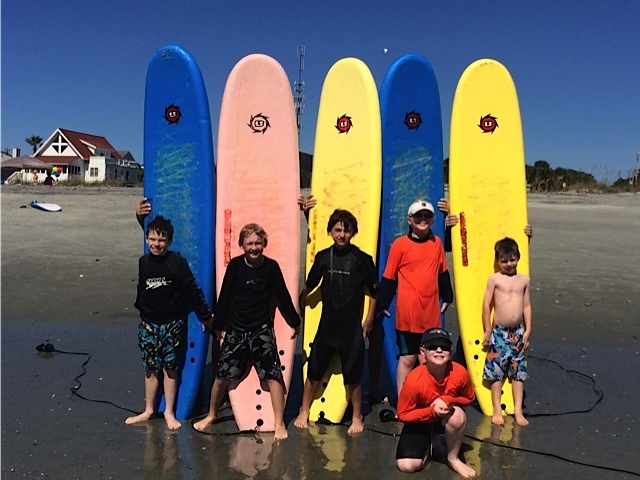 Surf camp & classes are located at 6 block East on Folly Beach. Take Folly Road to the red light at the end (in front of Tides Hotel). Take a left, drive 6 blocks & turn right onto 6th St. East. Yoga class locations change depending on weather. Stay connected, share your surfing experiences wtih us and stay stoked friends!